Thank you Dr. Rosen for your thorough research and well written account of a remarkable man, Dr. David Boder. His legacy at Illinois Institute of Technology continues through your book. For this and the dedication, compassion, and respect you have for Boder is forever appreciated. In July 1946, David Boder, a psychology professor and naturalized US citizen, journeyed to Europe with the goal of audio recording interviews with displaced persons in camps across the continent. Rosen’s book provides an in depth look into this work, giving an overview of Boder’s background and chronicling the interview project from its conception to Boder’s death. 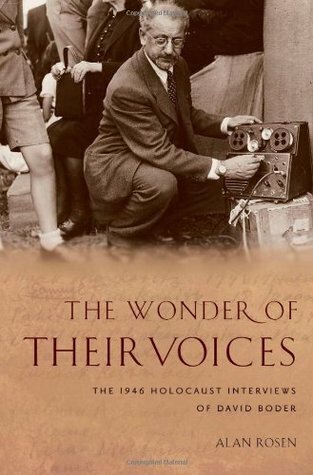 The author explains that the interview project is among the earliest of audio recorded Holocaust testimony, and that Boder’s use of a wire recorder to interview DPs is distinctly unique. He maintains, however, that “their value lies in what they teach us about the history and nature of Holocaust testimony” (p.ix).